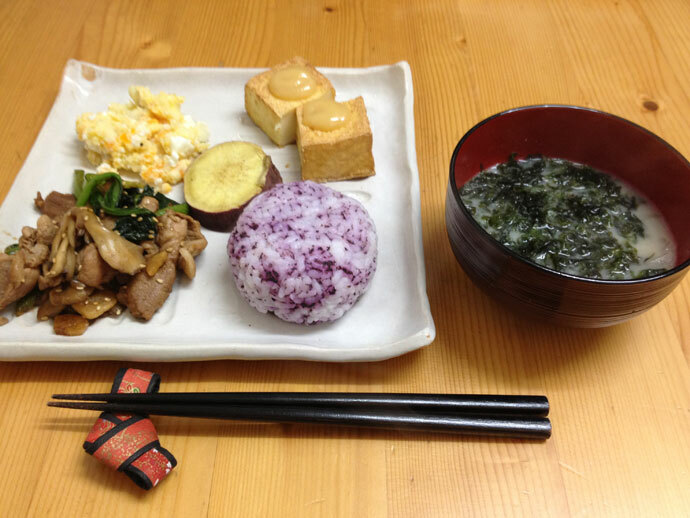 Breakfast: Simple menu continued…Flied egg with Beet sugar and Soymilk. 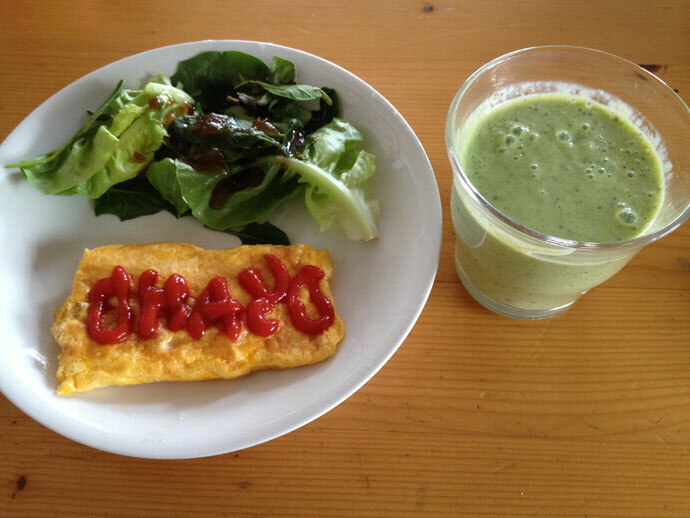 (I wrote “OHAYO”, means “Good morning” in Japanese with Ketchup. Haha— ) Salad with baby leaf and Romaine lettuce. 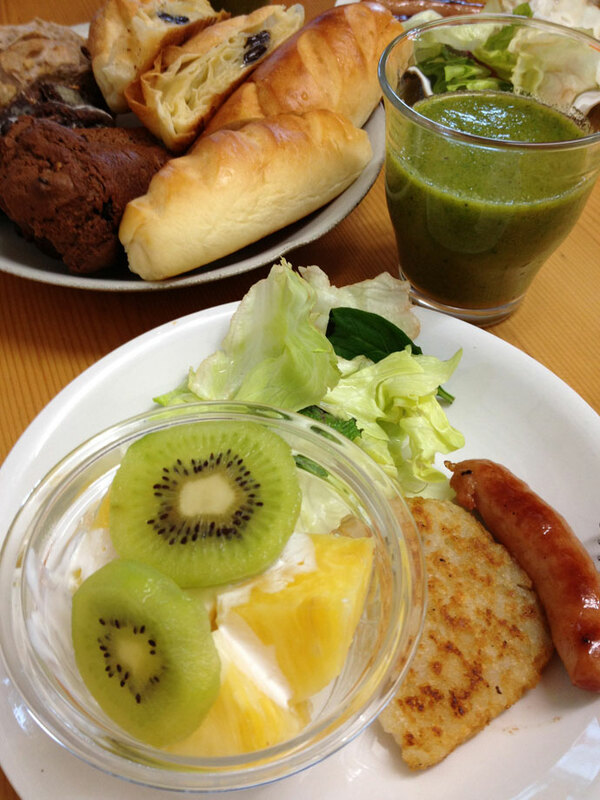 Smoothie with Komatsuna, Kiwi, Lemon, Banana and Soymilk. Dinner : Miso soup with Nameko mushrooms and nagagegi onion. Tofu with special sauce. Koshihikari Rice. Grilled Saｌmon. 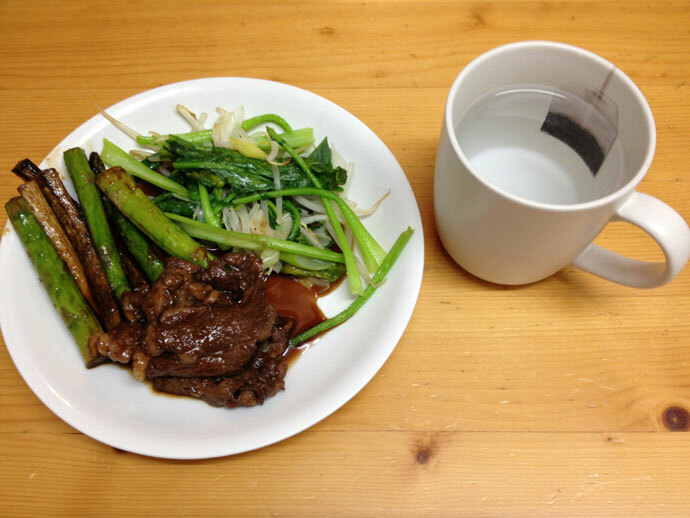 Cooked dish with Radish and Egg plant. Sauteed vegetable with Komatsuna, Kabu turnip and Sprout. 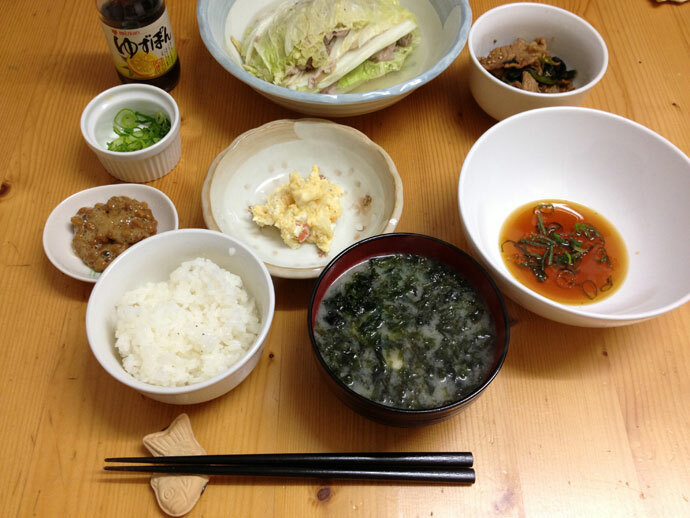 Flied Tofu pickled with Shio-koji.